What is the extent of epoxy products you supply for the scientific and laboratory market? Epoxy countertops and epoxy resin countertops are made as a bi-product of oil based refining. 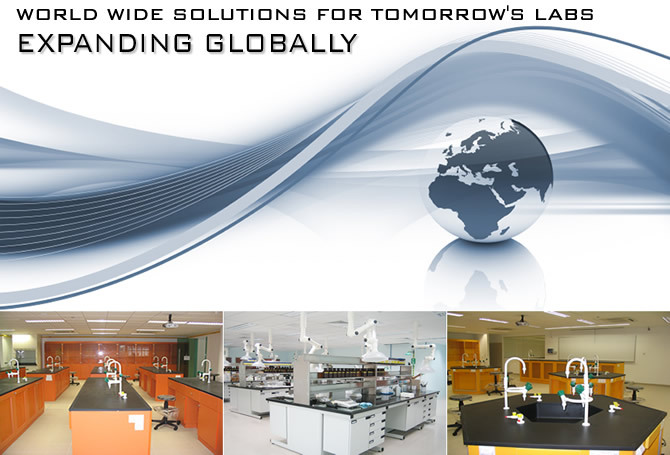 Total Lab Solutions, with the supply of Duratop epoxy countertops and epoxy sinks is a leading supplier to the international and domestic markets of solid, monolithic epoxy resin worksyrfaces and lab equipment. Our products are of the highest quality and the most chemical resistant on the market. They can withstand high volume spills or chemical attack. Standard care and maintenance procedures are recommended. Our epoxy countertops are available to fit any new lab or refurbish laboratory project. There are several products that are made into chemical and stain resistant materials for laboratory applications. Manufactured for Total Laboratory Solutions, under the brand name Duratop are epoxy resin countertops, epoxy resin sinks, fume hood bases, epoxy pegboards or drying racks, epoxy resin sink drain outlets, cupsinks, etc. Duratop Epoxy Laboratory Tops are offered either fabricated to specific sizing and customer drawings, or supplied un-fabricated and unfinished in slab form to qualified and authorized fabricators for the international market. Epoxy countertops are typically chemical resistant and stain resistant, thus taking the worry out of chemical spills onto quality and expensive bench toppings or laboratory countertops. Fabricated epoxy resin countertops are available in both the domestic and international market place to be applied on locally produced or imported lab furniture for the scientific and research community. Epoxy countertops are available in Fourteen (14) distinct colors complimented by under counter mount and drop-in sinks in the same complimentary colors or contrasting for aesthetic enhancement. Epoxy countertops by Total Lab Solutions are a chemical resistant material that is utilized for research labs, schools, biotech and other scientific laboratories. We are a leading international epoxy countertops supplier with over 20 years experience. If you are looking for epoxy resin countertops or epoxy counter top sinks and accessories, contact us today.